The bottom line is that energy (kWh) is no longer the cost driver for commercial and industrial electric ratepayers; power (kW) is where the pain lies. What is the biggest challenge to creating a truly smart grid? Have we begun making progress? Participation from customers. Yes, we have begun, but just barely scratching the surface. What type of customers are interested in energy storage? 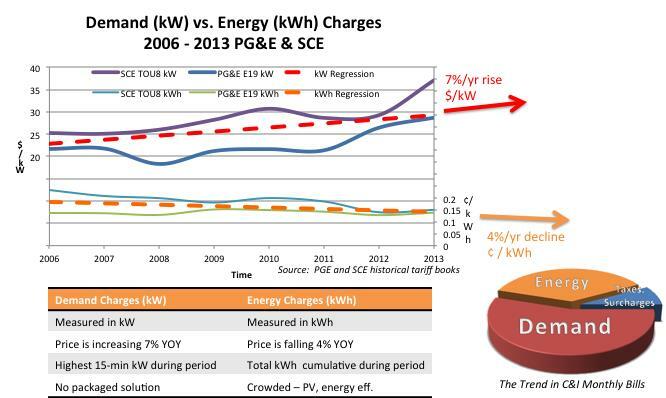 Commercial and industrial customers who have seen their demand charge ($/kW) portion of their monthly electric bill rise by 7% per year over the past decade. Customers installing solar to tackle kWh savings are interested in energy storage to handle kW and power savings. You say that you've creating the first "power efficiency agreement." What does term mean and why does it matter? After a couple of decades of energy efficiency initiatives, all the low hanging fruits are gone. 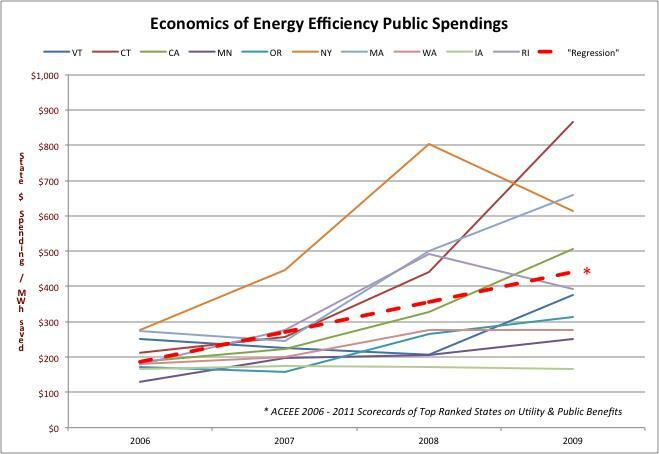 According to American Council for Energy-Efficient Economy (ACEEE) Scorecards between 2006 – 2011, the top 10 U.S. States have on average spent 30% more year over year in public benefits to achieve the same amount of kWh savings. Energy efficiency has reached a point of diminishing returns. In the meanwhile, the price for kWh has held steady and/or decreased in traditionally expensive markets such as California, due to fracking, domestic production, and competition. But on the other hand, the price for kW has been steadily increasing at 7% per year in California for commercial and industrial ratepayers. Green Charge Networks’ Power Efficiency Agreement is structured to reduce the peak power demand charges of our customer’s monthly bills. This is the new revolution in efficiency savings. How is Green Charge Networks​ different from other companies in this space? Experience. We have systems installed for 2+ years operating 24/7, saving our customers in demand charges monthly after month. We are the only company with systems installed on both east and west coasts. Proven technology. 7-Eleven Corporation, a global brand with 10,000 locations across North America, has chosen to continue its rollout with GCN in California after 2 years of testing in New York. Focus on software and services. We don’t have our own hardware such as batteries and inverters. We buy and integrate premium hardware from proven, large-balance-sheet suppliers providing bankable 10-year product warranties. Our focus is in delivering the best available demand reduction service to our commercial/industrial customer-base over a long term contract. Our product is NEMA 3R rated and can be installed both indoors and outdoors. A smart grid in the US will be made up of many technologies working in many different locations and conditions. How will it all fit together and provide the stable energy distribution system we need for the future? It was not that long ago that businesses operated with carbon copy papers, rubber stamps, and hand-signed approvals. Internal processes within companies are always different, compounding company-to-company miscommunications and causing delays. With the arrival of Enterprise Resource Planning (ERP) software in the 1980’s and 90’s, these problems began to dissipate with standardized and computerized workflows. The grid is incredibly complex, but so is our level of software sophistication and intelligence. Energy storage has proven to be a cost-efficient method which helps cut down utilities. This is the advantage that many businesses have been aiming to achieve especially those industries that require a 24-hour operational period. They need to run their businesses around the clock but would like to include energy savings while they are at it so this technology can help them. How do I fine info on buying this car in the U.S.? Two things I noticed. Where is the seat belt and windshield wiper? If this is not bogus, the question is: Is it importable into the US without having to pass crash tests, etc? Seems very impractical, but, hey, the SMART car is too. Must be a type. And that speed isn't enough for the freeway. If you buy a maxiscooter, you can ride two-up and go faster. Similar mileage.